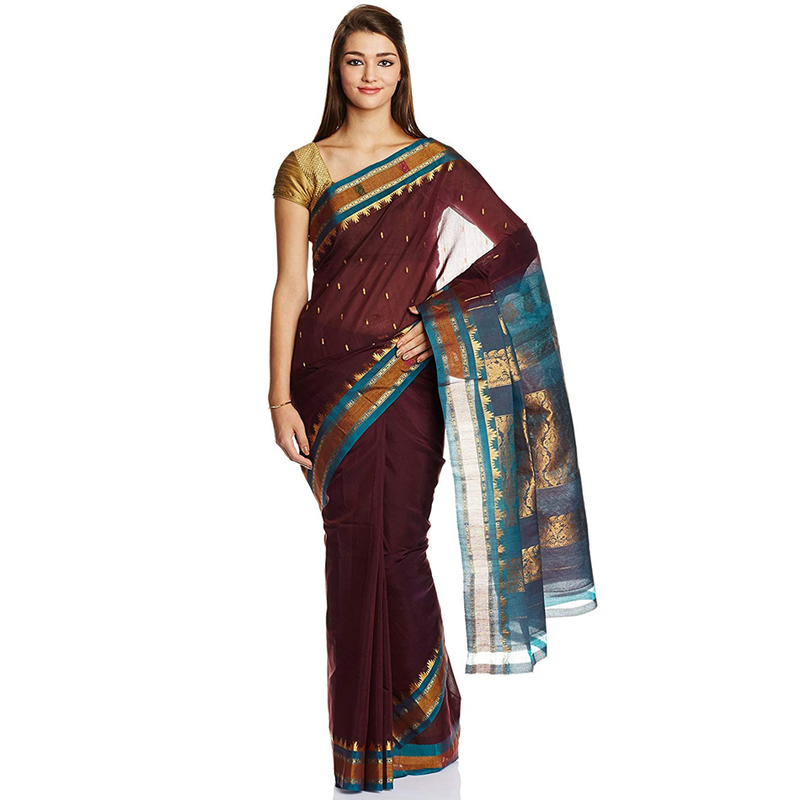 Gadwal sari is a handcrafted woven sari style in Gadwal of Jogulamba Gadwal district in the Indian state of Telangana. It was registered as one of the geographical indication from Telangana by Geographical Indications of Goods (Registration and Protection) Act, 1999. They are most notable for the Zari on the saris. The sari consists of cotton body with silk pallu which is also given a new name as Sico saris. The weave is so light that the saree can be packed in a matchbox. The Brahmostsavas of Tirupati begins with the Gods idol being adorned with gadwal Saree.